The effects balance well together and make a useful pedal. 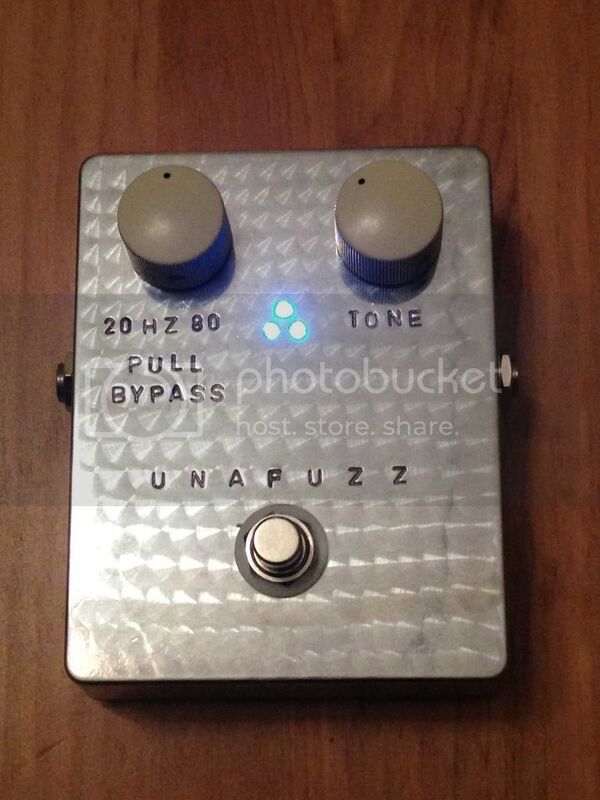 I've called it the Unafuzz after the person I made it for. For the moment ignore the crooked stamping (it is the hardest bit to do) and note I've made it with one Cts pot and one ducon pot (from a 60s fisonic) and switchcraft sockets. It should last. Thanks to Heath for allowing the use of his circuits.. The photo works for me Eden and the crooked lettering looks cool to me. Are you going to do one of your cool Youtube vids for this ? Last edited by NotTheFish on 27 May 2018, 21:36, edited 1 time in total. I don't have a suitable camera anymore, I'll have to get one..
Hey Eden, looks better than the ones i make!!! Great job, my friend. Not better, just a little different!